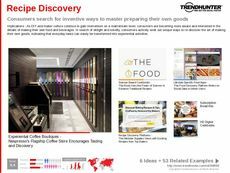 Find Better Ideas, Faster ® with a custom recipe trend report, our PRO Dashboard and 80+ categories of premium trend reports. 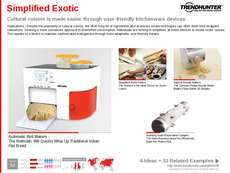 The Recipe Trend Report highlights the innovations that are being applied to cooking aids in the kitchen. 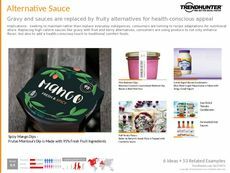 The report also reveals the latest innovations in flavor and cuisine that pertain to restaurants and food supply brands or producers. 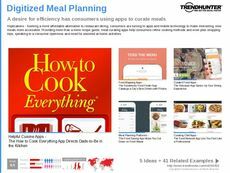 While investing recipe apps and online food creation platforms, this report weaves through the virtual and physical world of cooking guides. 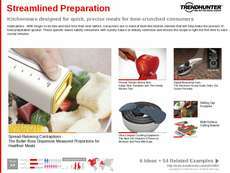 Those who prepare food and dishes for consumers will be able to use this report to offer an intriguing product assortment. Publications both online and in physical print will also be able to use this report to better address the tastes that consumers crave. 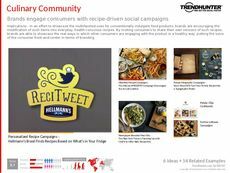 The Recipe Trend Report delivers cutting-edge insights that will enhance abilities to generate consumer interest and brand loyalty.